How Do I Start Promoting My Website? What SEO Tools Are There on uKit? When Will My Website Show Up in Search Results? 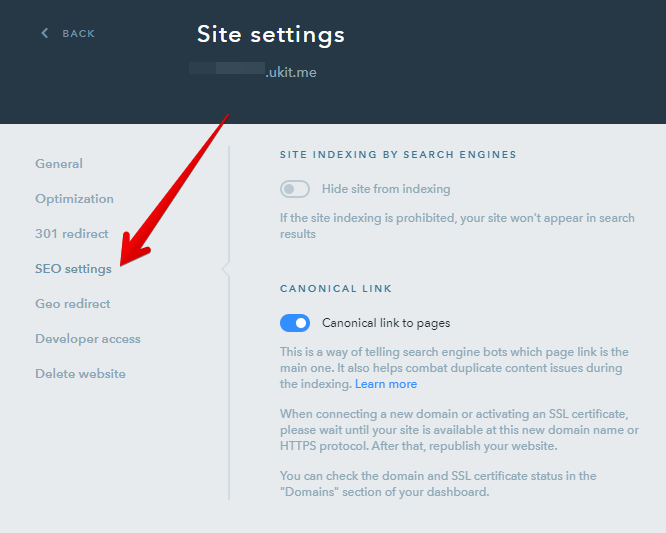 How Do I Disallow Indexing for My Site or a Particular Website Page? 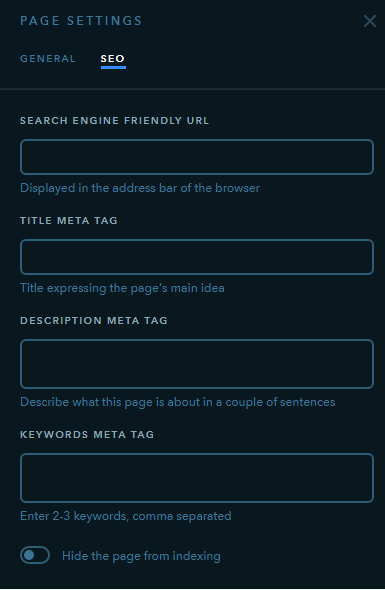 How Do I Add Meta Tags to My Website Pages? How Do I Change the Page Title Displayed in a Browser Tab? How Do I Connect Google Analytics? How Do I Connect Goals in Google Analytics? Where Do I Find a Sitemap? How Do I Edit 'robots.txt'? Add your website to Google Search Console to allow Google search engine find and index your website faster. This tool can be found in the Dashboard > Promotion > Add to search engines. Connect Google Analytics service that will help you collect and analyze information about your website visitors. You can enable the service on the Dashboard > Statistics. Add your company info to Google Maps on the Dashboard > Promotion > Add to maps, to get your website appear in search results of users that are near you and make it easy for your customers to find you. Configure SEO settings for website pages: a page address, Title, Description and Keywords meta tags, website indexing. 39 people found this article helpful.